George W. Freeman, 96, of Ethan died, Monday, June 25, 2018 at Firesteel Health Care Center in Mitchell. Funeral services will be 10:30 AM Friday, June 29, at the Bittner Funeral Chapel in Mitchell. Burial will be at Hillcrest Cemetery in Ethan. Visitation will be from 5-7:00 PM Thursday at the Bittner Funeral Chapel. 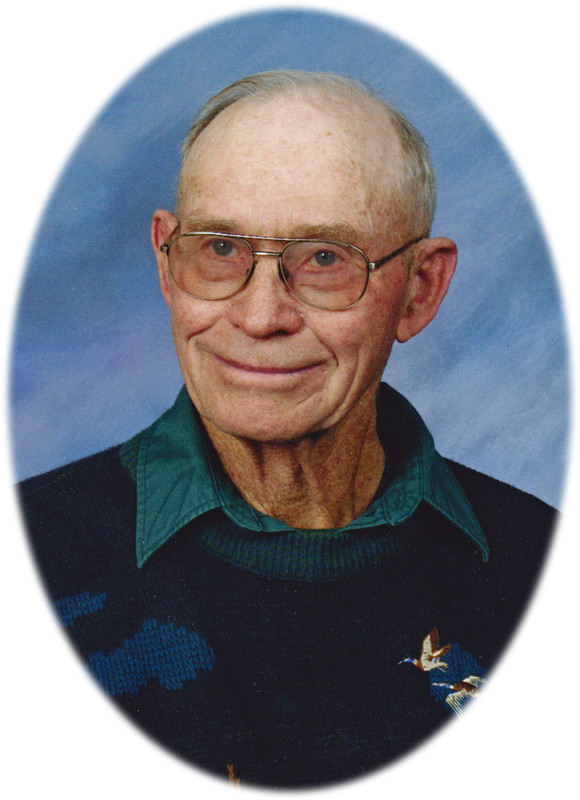 George was born July 18, 1921 on a farm in rural Ethan to Frank and Esther (Meyer) Freeman. He attended Worthen #4 school and graduated from Ethan High School in 1939. In 1943 he moved to the farm where he resided for nearly 70 years. He married Erma Loomis on April 1, 1945 in Mitchell. They welcomed three daughters into their lives. His wife died suddenly on their 40th wedding anniversary on April 1, 1985. After his wife’s death, he enjoyed the companionship of Thelma Erpenbach until she passed away in 2006. He spent his entire life farming and loved having coffee with friends at I-90, his favorite hangout in later years. He loved to help other people and maintained the Ethan Hillcrest Cemetery for many years. He also enjoyed hunting and was an avid trap shooter. He served on the Ethan Lumber Company, Hanson Farm Mutual Insurance Company, Worthen Township and Hillcrest Cemetery Boards for many years. He was a life-long member of the Ethan Methodist Church. He is survived by his daughters Beverly (David) Morse of Menifee, CA; Mary Freeman of Mitchell, SD and Donna (Duane) Ennis of Lead, SD; three grandchildren, Elliot (Jenni) Ennis of Clemson, SC; Aaron (Tracy) Ennis of Gillette, WY and Erik (Carly) Morse of Fontana, CA, as well as four great-grandchildren, Embry, Kya, Kynnedy Ennis and Myla Morse, as well as many nieces and nephews. George was preceded in death by his wife and his brothers and sisters, Frances, Don, Edwin, Dorothy and Phyllis, as well and several nephews and nieces.